This article was inspired by research and ran across this information that is worth looking into further. What kind of amazing side effects can be realized, with supplementing cinnamon into your diet? Honestly, I thought that cinnamon was a good addition to toast, rolls, and bakery items. But, required so much sugar to make it taste good that it was not good for you. This spice has many properties that can be beneficial to your health! Minus the addition of sugar and there are no down sides to adding it to your diet. Cinnamon is loaded with antioxidants, which protect the body from free radicals. This spice has as much antioxidant activity as many other super foods. Anti-inflammatory properties of cinnamon help the body to fight infections and repair tissue damage. This is something that can help to reduce the risk of disease, especially heart disease. In animal studies cinnamon has shown signs of reducing the build up of a protein called tau in the brain, which is one of the indicators of Alzheimer’s disease. These effects still need to be tested on humans, but it is an interesting find. Similarly, other test connects the use of cinnamon in the fight against cancer cells. But still in the early stages of testing. Generally, the spice is a good at fighting various kinds of infections. 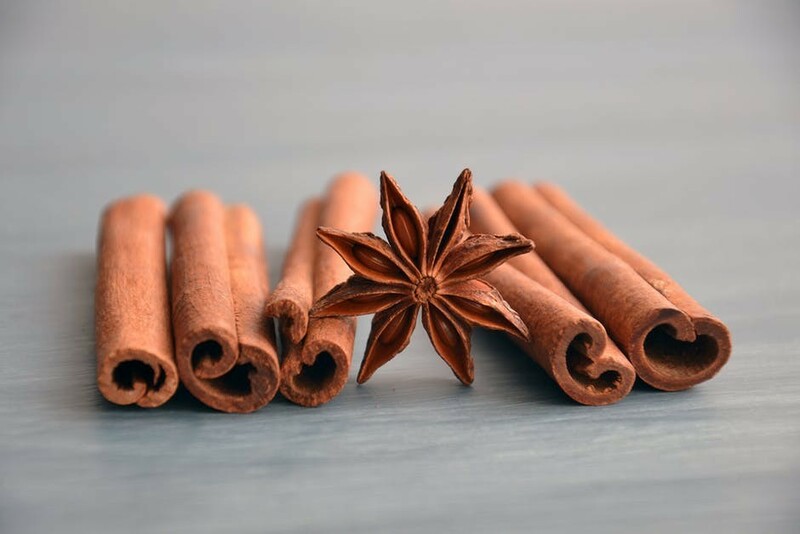 There are studies that show cinnamon treating respiratory infections, the growth of Listeria and Salmonella, and other antimicrobial effects such as tooth decay. What Effect Does Cinnamon Have on Blood Sugar? The most interesting benefits to supplementing cinnamon to your diet if you are diabetic is the possible improvement to your sensitivity to the hormone Insulin. Type 2 Diabetes is also known as insulin resistance, which means that your body does not respond to the hormone the way that it should, and the glucose in the blood cannot get to where it is needed. Doctors who tend to give pharmaceutical prescriptions do not tell you about this spice or any other natural remedies that may work for you. None of my Doctors, Nurses, or Dietitians has mentioned this information. Not going to hold that against them, they’re not trained with this option in the medical community. I am striving to get off the medications and like the idea of supplementing with natural remedies when it is possible. Decrease the amount of glucose that enters your bloodstream after a meal, by interfering with digestive enzymes and slowing the breakdown of carbs. Contains a component (hydroxychalcone) that works like insulin and greatly improves the glucose getting into the cells. The typical dose to be effective is between .5 -2 teaspoons of cinnamon per day, that is not that much, considering the possible benefits to your health. Those who are reading this and have not looked at the research before it is full of these and more health benefit claims. Some of these things I have heard for about for years; but just dismissed, mainly because of the unreliable sources that presented the information. Due to the changes in my life and the increased focus on health issues, proving out these claims has become a challenge that is turning out to be fun! Thinking about how to check out this information for myself, the thought to investigate mixing the cinnamon in a drink that I started taking about a month ago. 1 teaspoon of Apple Cider Vinegar (unfiltered). 1 teaspoon of Erythritol sweetener. 2 teaspoon fresh squeezed Lemon juice. New adding 1/2 teaspoon cinnamon. After drinking this drink, eat a regular small cucumber and go to bed. What I have noticed is extra energy and not needing as much sleep. It is puzzling and at this point I am unable to find a report of this in any of my research on the apple cider vinegar. Really do not know why, but it is very noticeable. And I’m not complaining because it has helped to increase my productivity and the extra energy helps to maintain mental clarity as well. When I first started was only using the Lemon, Apple Cider Vinegar, and Erythritol and it was hard to swallow. The bedtime drink tastes improved measurable by adding honey. But, adding the cinnamon to the mix; makes a pretty good tasting drink, it masks the vinegar and will be easier to maintain the ritual. Now we are looking at all the ingredients of this drink and adding up all the benefits together it stacks up to be a great dietary supplement and has around 30 calories per drink. Apple Cider Vinegar (unfiltered) has many health benefits that has been claimed in many ancient folk remedies. 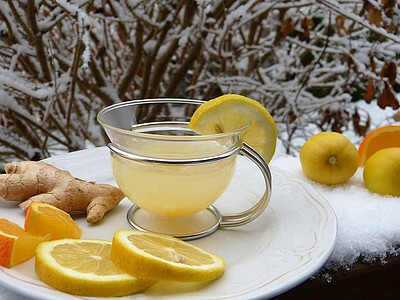 Now there are scientific studies to support some health claims from the folk remedies. 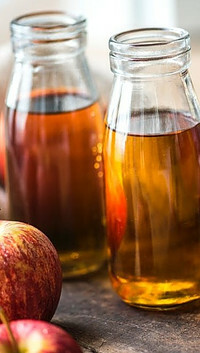 If the Apple Cider Vinegar has not been filtered; it is murkier in appearance because of the “mother” or strands of proteins, enzymes and good bacteria that gives it the murky appearance. This is a good source of prebiotics and can be very beneficial to your digestive health. Click on this link for more information on Pre-Probiotics. Other benefits include killing many types of harmful bacteria, for thousands of years vinegar has been used to clean wounds and treat nail fungus, lice, warts, ear infections, etc. Vinegar is used to preserve things because it inhibits bacteria from growing on food. Apple Cider Vinegar also contributes to lowering blood sugar levels and fighting diabetes by reducing the fasting blood sugar level by about 2% per tablespoon taken a bedtime. Studies show that people who take Apple Cider Vinegar before bed helps to reduce belly fat and aid in weight loss. It is a slow process but will add up over several months of use. All these types of improvements to your system will lower your cholesterol and ultimately improve your overall here health. In the pursuit to rid yourself of diabetes and trying, any type of dietary changes requires more attention to your condition. In my case watching my blood sugar levels is something that I must maintain to prevent going to low. 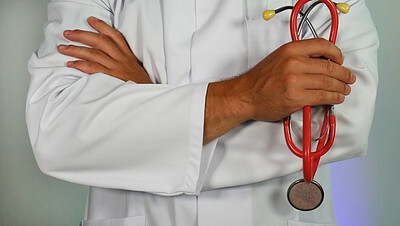 Making sure that you update your Doctors of the changes that you make will be helpful for them to diagnose your correctly. Sometimes it can be frustrating to fill out all those forms but, in the end, you are the one who stand to benefits from its effort. Thank you for stopping by and reading this article. Hope that you enjoyed it and that it helps in some way. Please leave your comments, experience, suggestions below! Thank you for sharing this great information about the benefits of the cinnamon. I been a cook for more than 20 years and didn’t know what the cinnamon can do for us, the only thing I knew about cinnamon, is how makes my French toast taste.After I read your article, I like more this spice and thank you for sharing your recipe, I will give it a try. Thanks for your comment and glad you enjoyed the article. There are many different benefits from adding a daily supplement of cinnamon and honey to your diet. Cinnamon can indeed be used in ways that do not require sugar. My husband, being Lebanese, introduced me to the idea of putting cinnamon in chicken soup. It can also be used in meatballs or meatloaf, or mixed with rice. There are many ways to use cinnamon in main dishes, particularly in Middle Eastern cuisine. An adventure for the taste buds! Thanks for your comment and the dietary suggestions with cinnamon, in my regular cooking cinnamon is using primarily for oatmeal, toast, or to put on sweet rolls. Mostly pastry’s that I am not eating anymore, so it is good to hear a different way to use this spice. Hey Chad! I hope you keep us updated in regards to the cinnamon and your blood sugar levels. Especially if you notice a significant difference in your blood sugars. I’ll have to pass your post along to my family members. Diabetes runs deep in my family, both type I and II. The apple cider vinegar you suggested (Bragg’s) is wonderful and I’ve used it pretty regularly over the years for different things, including acid reflux. Thanks for sharing your experience and research! Thanks for commenting and sharing you experiences with the Apple Cider Vinegar. the first time I heard about this was about 5 years ago but the person who told me about it said to take a spoon full by itself, that what just too nasty to do for me, and it is not recommended either. It will be interesting to see where my blood test come back with these changes in place after a few months to see if it is doing any good. Right now my energy is improved and have started losing weight again… hope it continues! This was a fascinating post! One of my main goals this year is to become healthier 🙂 With so much diabetes in my family, it was nice to find out that something as simple as cinnamon can decrease blood sugar levels. That sounds so much better than taking mass amounts of diabetes medication! Thank you also for the recipe of the bedtime drink you use to give you extra energy. This is something I think I definitely need to try. I appreciate your research on a topic that I think our culture could definitely benefit from. Thank for commenting and glad that you enjoyed the article. I agree that it is much better to get off the diabetes medicines as soon as it is possible. This is a big problem in our society that need more people to take seriously before it is too late to do anything about it! Wow, did not know that cinnamon helps with the joints! Insteading of taking Schiff, I would like to give cinnamon a try. I only use cinnamon only for my pork soup, it’s a thai dish that we use 5 spice and one of them is cinnamon. Oh and also I also boil cinnamon when my place smells awful from cooking seafood like mackerel, try it works like magic! Lol I will try to incorporate cinnamon with my ginger tea, they might be good together. Great post. That sounds like a good idea using the cinnamon to get the seafood smells for the air, never thought of doing that, but many of the air fresheners have the cinnamon smell is them. Cinnamon for sure is a good medine some time I had this problem with my weight I was getting heavy; or should say that I was gaining a lot of fats on the body. Started taking cinnamon but due to the bad taste, I was mixing with honey I can assure you this is best medicine on fat burning remedy in the body. For those with cholesterol on their bodies I would recommend cinnamon and honey and if you have lemons nearby please fill free to mix them together and you shall be taking the best herbal medicine on planet Earth. Thanks for your comments and suggestions it is good to know that you have had success with using cinnamon and honey before. For those of us with a long road ahead on losing weight it is comforting to know that others have found success in these remedies. Wow before reading this article I had no idea that cinnamon had so many benefits to the human body. 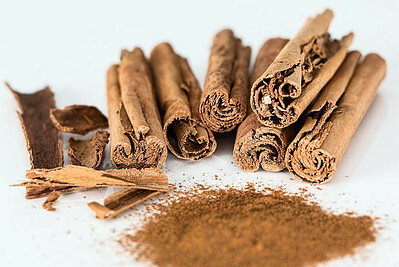 I was surprised to read that Cinnamon is loaded with Antioxidants and also protects our body from radicals. Not only that also that it also helps us to repair our own body. This is just awesome. Cinnamon is one of those wonder spices in my book. I have used cinnamon and honey for years. Everything from sore throats to coughs and cold. I started using cinnamon years ago after being dignosed with copd and osteoporosis. I needed something for the inflammation of my copd and something to help stranghen my joints and bones without taking prescription meds. Have been using it since. Thanks for sharing you experience with honey and cinnamon, this is relatively new for me and it is good to know other have had some success with these remedies. Thanks, Chad, for all of this amazing information about cinnamon. I’d only ever regarded cinnamon as something sprinkled over the top of my extra hot cappuccino, so the information in your article was an eye-opener indeed. I have an unopened bottle of raw (containing the “mother”) apple cider vinegar but have been waiting for a nice sounding recipe to use it in. You’ve provided that and I’m looking forward to trying it out. The recipe contains Erythritol, which I’d never heard of. But on Googling it, I discovered that it’s carried by the local supermarkets, so I’ll go and get some today. Chad, thanks again for all this. Erythritol can be replaced with whatever sweetener that you prefer, to me it has the best taste and does not affect my blood sugar at all. Hope you like this drink the cinnamon really makes it taste better. The cinnamon and honey mixes better with warm water. 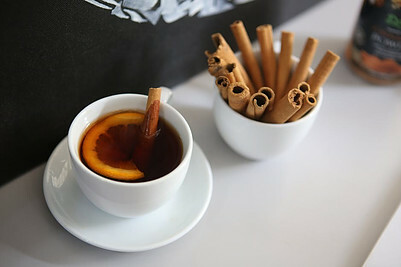 A mixture of honey and cinnamon is extremely tasty and generous to the body. Honey is a product that does not spoil, while for cinnamon it is said that it was given to emperors. Honey is a natural antioxidant containing organic acids, enzymes, flavonoids and phenols. The cinnamon contains polyphenols, and is known as an extremely strong antioxidant. Thanks for your excellent recipes. Great article! Thanks for your comment and the reference to polyphenols, which helps improve the digestive system, helps in weight management and other health issues.